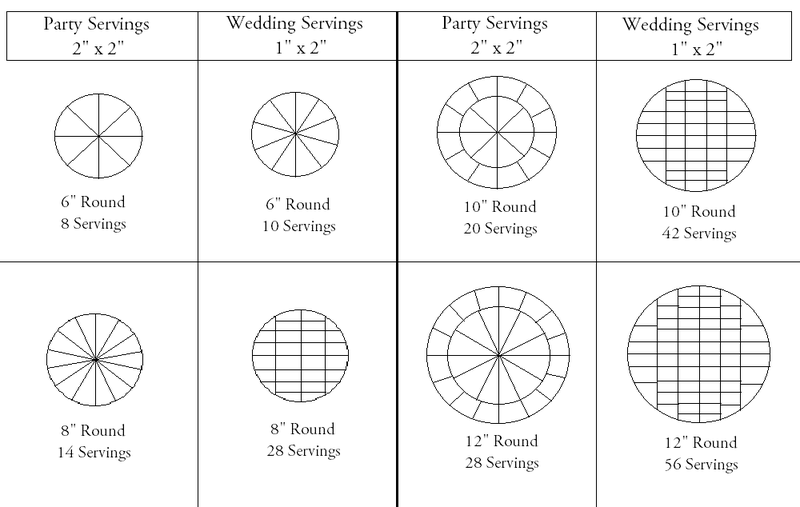 This Cake Cutting and Servings Chart is based on cakes that are 4 to 5 inches in height. If your cake is a single layer and is only about 2 inches in height, then divide the servings in half. Here is an example: an 8" round cake that is 2 inches high will have 7 party servings (not 14).